Cow eye dissection performed as a demonstration. Parts of the eye identified. Students can touch the eye before starting (then they should wash hands before doing another activity). Cut off the fat. This protects the eye. 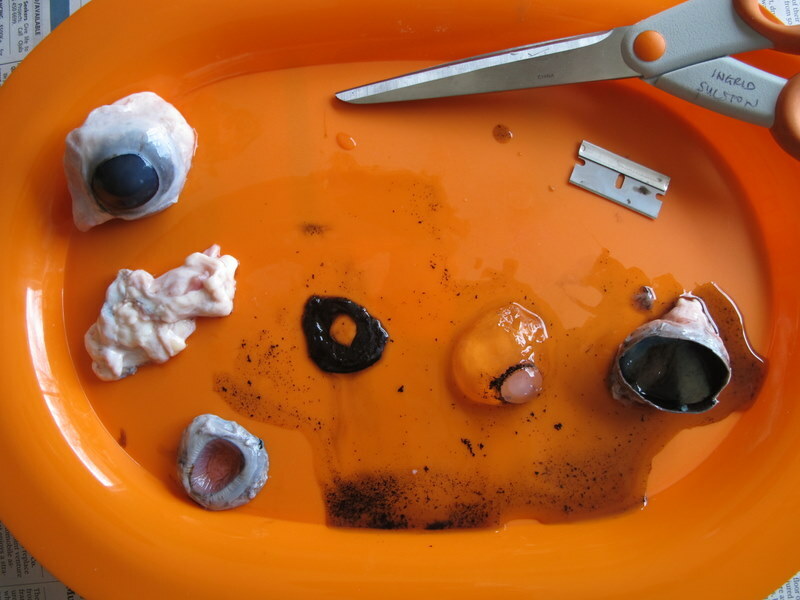 Make a small nick in the sclera to let some vitreous humour come out, then cut the eye in half so the front is separated from the back. Here is the pupil, a hole - you can look through it now. Pull out the iris (black in cows). The sclera is really tough - it protects the front of the eye - hear the layers with the blade. What’s this - the lens. If it is intact, put it on newsprint to see it magnify the words. Also to try: holding it up to make an inverted image of a window. (The lens is good for the students to touch). Look at the back of the eye. 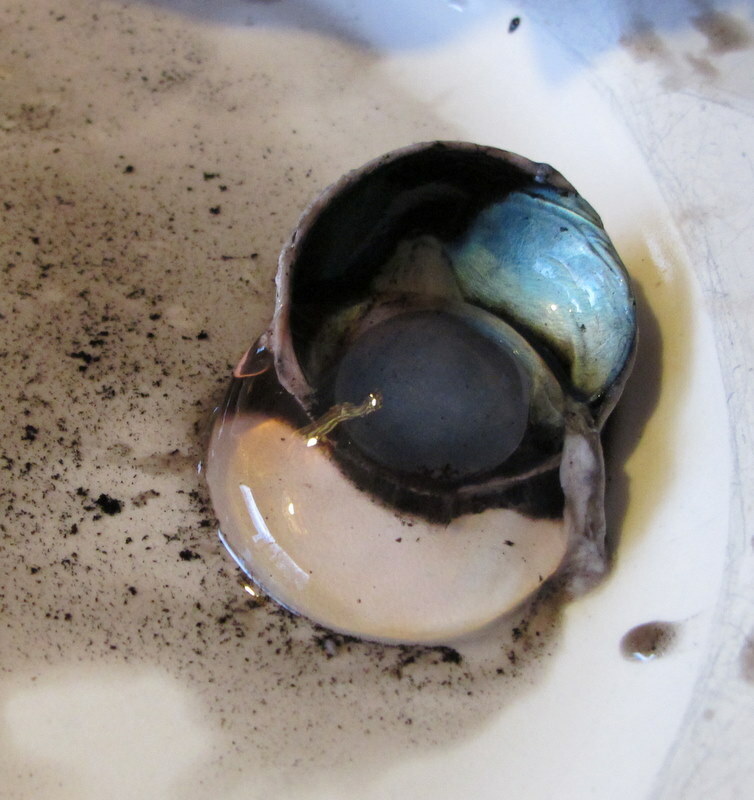 Shiny tapetum in the back of the eye. Cow's are awake at night. The pink retina converges at the blind spot. The optic nerve emerges at the back of the blind spot.